Zanesville, Ohio is safe once again, but at a great cost. The 56 exotic animals from Terry Thompson’s farm have all be accounted for. 49 have been shot and killed…. and that is a very heartbreaking piece of news to have to share. 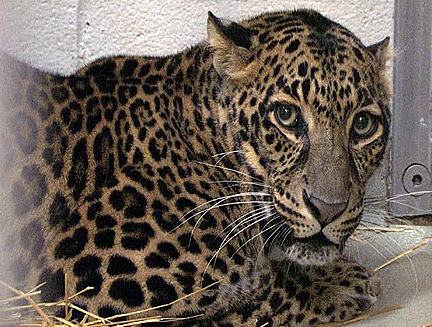 3 leopards, 2 monkeys, and 1 grizzly bear have been saved and are now at the Columbus Zoo. One monkey was eaten but another animal. Thompson (62) shot himself after he released all of the animals. Talk about complete insanity and heartbreak for his poor widow. Thankfully, no one was hurt or killed in the chaos… aside from all of the animals and Thompson. R.I.P. to all of those innocent animals. Why Did Christina Aguilera Turn Into a Pork Chop?